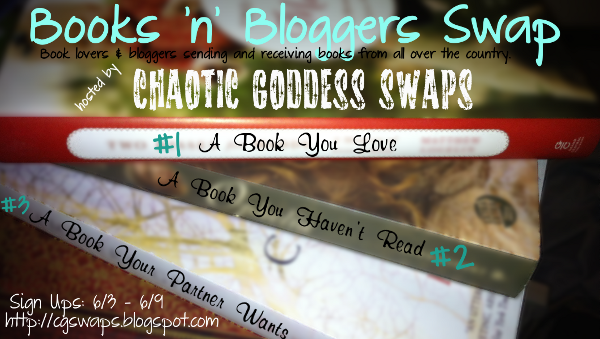 It's time for another Chaotic Goddess Books 'n' Bloggers Swap... just in time for Summer Reading. YAY! Beth and Miss Angie host these swaps, and they are always lovely. I don't always participate in them (especially if I'm really busy) but I always enjoy seeing what everyone gets (I admit it: I'm a looky loo). I'm always amazed at the creativity of many of the packages. Packages must contain 3 books that fit the criteria. Send books that fit your partner's genre preferences. Books must be mailed First Class or better, no Media Mail, on June 28th or 29th. Easy-peasy! I love reading other people's Goodreads TBR lists...do you? 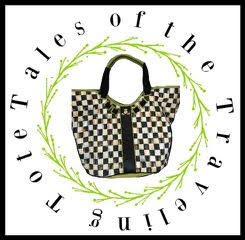 I hope to see you at the swap! This looks too, too cool. Let me get school done for the year and I am in! And yes, I totally mine other people's TBR piles for inspiration...which is why my wishlists and library lists tend to get very long, very quickly!